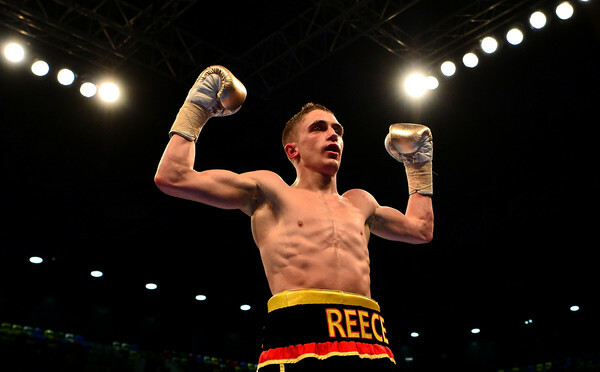 Reece Bellotti challenges Jason Cunningham for the Commonwealth Featherweight title in the latest instalment of the JDNXTGEN series at York Hall in Bethnal Green on Friday October 13, live on Sky Sports’ Facebook and Sky Sports. Bellotti closed the season with a brilliant eighth round stoppage of Jamie Speight to land the WBC International Silver title at The O2 in London in July, moving to 10-0 with his ninth win inside the distance and picking up his first pro strap. Cunningham puts the title on the line for the first time after edging out Ben Jones for the vacant crown in the east London venue in April and is hunting a second British title shot having taken Kal Yafai the distance for the Super-Flyweight strap – and both men hope that the Lord Lonsdale belt comes next if they can triumph. “This is what you get in boxing for, to win titles,” said Bellotti. “This is the second title I can win this year and I’m really looking forward to it. “I know Jason has come up through the weights. He’s boxed a good level of opposition, better than what I have so far. He’s tough, a Southpaw and I’m expecting my hardest night so far. “I haven’t fought a Southpaw as a professional yet. It doesn’t faze me, you’ve got to get in there and experience all different things in your development and this ticks another box, and it puts me in the frame for the British belt. “The last time I was on a show like this was against Kal Yafai down at Super-Fly, it’s been a long way back for me,” said Cunningham. “It’s taken a lot of hard work but I’m back on the stage I think I deserve to be on. “It’s great to be fighting back at York Hall where I won the title. I performed well on the night. Boxing News magazine had it nine rounds to three for me. My hand went in the second round but I cruised through it. I couldn’t believe when they called a split decision, I thought I was going to get robbed. “I’ve moved up to Featherweight, I was far too big for Super-Fly, but I’m a fighter who takes risks. I believe now I’m at the weight where I perform best. “I had a run out a couple of weeks ago, I come through it no problem. Six rounds in the bank for this one. Everything is going great, I’m in a good place for this fight. A host of young stars are in action at York Hall with former World title challenger Charlie Edwards gunning for a shot at World champion Yafai, rising Super-Welterweight star Ted Cheeseman, Cruiserweight talent Isaac Chamberlain fights for the ninth time in the paid ranks, there’s a third pro outing for Team GB Olympian Natasha Jonas, unbeaten Middleweight Felix Cash is in his seventh pro fight and Essex Super-Middleweight Danny Dignum tastes action for the fifth time.